Bring all your GitHub friends to Utopian with our new STEEM account creation module! Growing and rewarding the Open Source community on the STEEM blockchain was, is, and will continue to be the Utopian vision. The main hurdle on our way to realizing this vision was a lack of account creation system to allow for immediate contributor access to Utopian services. Having to wait for an account on Steemit, or purchasing one for immediate use was detering many Open Source projects and contributors from joining the community. We are proud to present to you the Utopian STEEM registration module to make STEEM account creation seamless and FREE for GitHub users. PLEASE NOTE: This service is intended only for the creation of new STEEM accounts for GitHub users who do not currently have an active STEEM account. Accounts accidentally created by existing account-holders on the blockchain will be disabled through undelegation in regularly performed audits. Since many existing STEEM users are expressing their will in testing the new Utopian signup module, the actual account creation has been temporarily moved to the testnet. You can now test it freely! We will resume creation in the main net in the next few hours. The Utopian Signup module allows Open Source contributors to instantly create a STEEM account by syncing their GitHub account with Utopian and confirming account ownership. 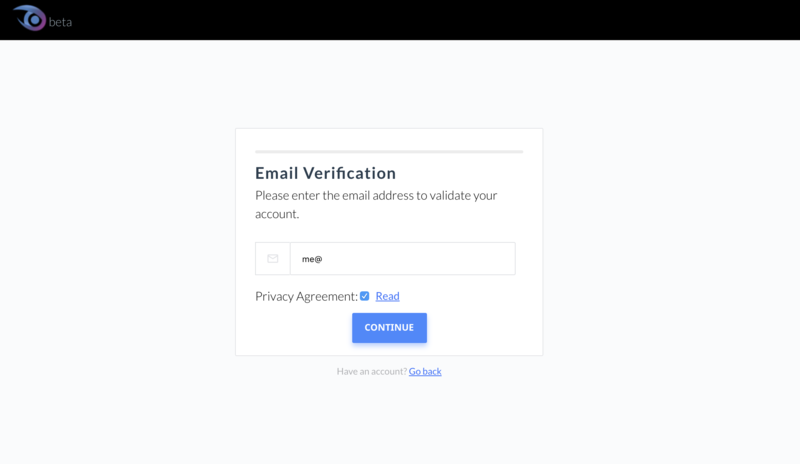 The Utopian signup system uses a unique algorithm to verify past social data on GitHub and verifies user authenticity. We’ve powered up 5000 STEEM allocated to account creation with @utopian.signup . As demand rises, we will be powering up additional STEEM as necessary. If past activity data on GitHub allows for instant verification, the user will only be asked to enter an email address to get a free STEEM account instantly. Personal data, like the email address, is fully encrypted and only processed for verification purposes. 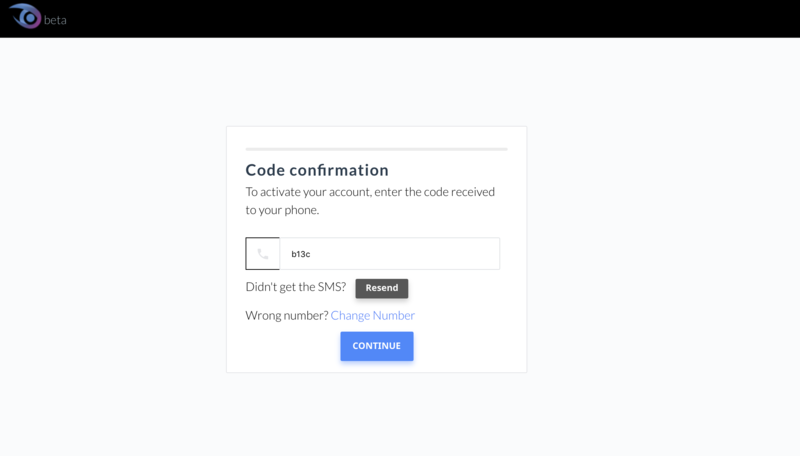 If the past activity data on GitHub isn’t enough to verify the authenticity of the user, SMS verification will be requested in addition to email verification. The phone number provided for verification is encrypted. A verification code will be sent to the number entered and used to continue the registration process. Once the user has verified either the email and/or the phone number a password will be presented on screen. The password is generated client-side and destroyed immediately after the account creation for maximal security, which also means it’s not recoverable. The user will be requested to save the password locally in a TXT file before being able to proceed. The user can now choose the preferred STEEM username and finalise the account creation. We hope that with the launch of the Utopian Signup module, we will be able to accelerate the growth of both Utopian and STEEM, while providing the best user experience possible. With this tool, we will be able to launch advertising campaigns and community initiatives to attract a mass of Open Source project owners, contributors and investors to Utopian and STEEM. To us, this is a great leap forward that will have a profound impact on creating the STEEM-Based Open Source economy that is our vision. I think I am doing something very basic incorrectly, I am following @scipio Python tutorials and when I try to link to anything he has on Utopian I am prompted to sign up or login, the sign-up wants me to create a SteemIt account and the Login is just a video? Do I need to sign up via Git Hub first? Sorry for such a basic question! :( Thank you for any help! Hi, the Utopian frontend is closed at the moment. You may have been redirect to the landing page of Utopian if scipio had utopian links included in his posts. You do not need to signup and login, you can't login to Utopian. 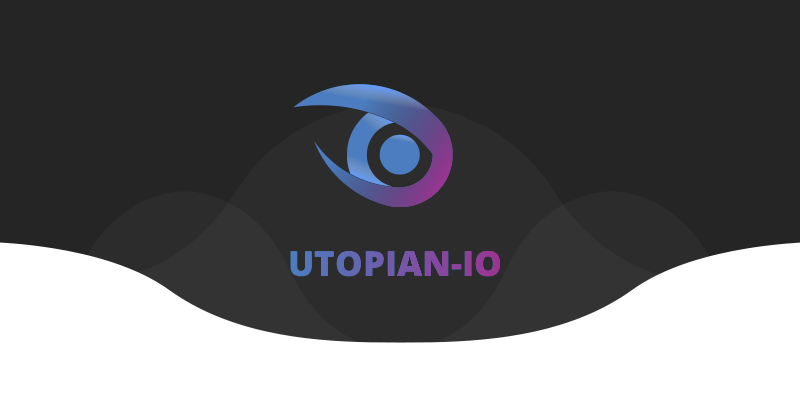 If you have any Utopian links, change the utopian.io part to steemit.com or busy.org, depends on which interface you use and prefer. Any idea when the front end will be back up? You have your full rights. We consistently perform audits throughout our TOS 18-minute ages. We will soon include a reprint as an additional prevention against the bots. Amazing - it's finally live! 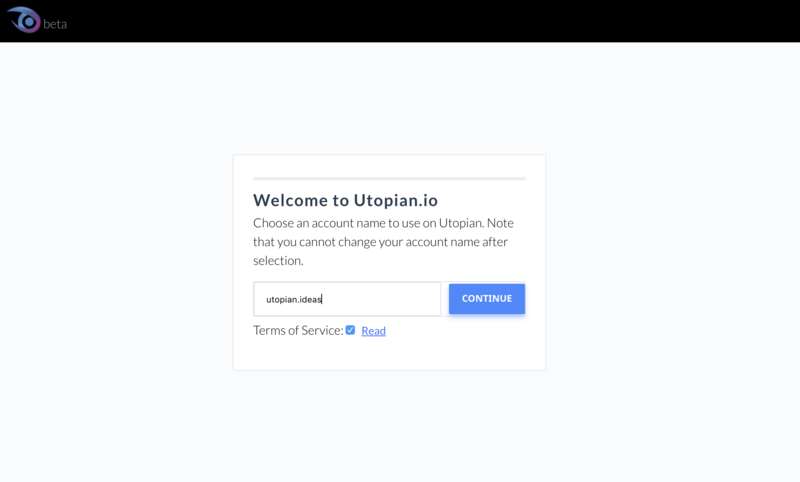 When I got the job-offer of creating a signup for @utopian-io I was very nervous as I just learned how to create websites (with VueJS) few months before, but on the other hand I got really intrigued by the idea of helping one of the greatest projects on Steem. So I accepted the challenge. And seeing it now live in action with some great finetuning from @elear, which made it perfect - what a feeling! Thank you @elear for creating utopian.io! You did an amazing job. The system is very solid and easy to improve! A great step to increase contributions in our community! Don't put your personal information here, you will need to convert steem from binance.com or blocktrades.us to bitcoin then from bitcoin to other currency depends on your country. Wow - This is great news. Another great step by Utopian! Hey wait! Can I be Utopian too? @knowledges and @buckydurddle my pleasure. Glad that I'm part of this great community. You are totally right. We perform constant audits. Our TOS cover the 18 min age. We will soon include a recaptcha as an additional deterrent against the bots. This new signup module will bring many happy faces to Open Souce contributors. Well done! This is a great improvement for utopian. Now contributors will not have to wait a long time before they can access their accounts. I think this technology should totally be the default technology for steem based apps, @steeemit @Dtube and of course @Dlive. as a Dliver this would change the whole game for me, cause when i go live or upload a video my followers on other platforms like facebook and twitter will be able immediately become members and support me. We are happy to see so many STEEM users are willing to test our new signup module. It is working smoothly and we couldn't be happier. At the same time we want this module to be useful for new Open Source contributors on our blockchain. That's why, while this post is Trending, the signup module has been switched to the testnet. You can now test it freely! Great! Looking forward for a Captcha and IP Address limit during a certain period. Hey @jinzo the recaptcha is already planned to be implemented today. For the IP address limit that's also a good idea. We have a client limit in place already. What about if someone has started the steemit registration, the free one that take max of 2 weeks, and if as at date the account is not ready, can such individual take advantage of this to get instant account? @javalord if you have already started the steemit account creation, I would advise to wait for that in order to avoid multiple accounts. Maybe that is good, but there is always a bad guy who can abuse that account creation system. Nowadays, getting an email address and phone number is an easy process. the project is still under development. You are right @mahdiyari. We are implementing some more few things, like a recaptcha to start. I would love to become a part of open source projects. This has encouraged me to learn more about getting involved with open source assistance. Is the front-end login part still down? OK what's github all about? Hi @utopian-io! You have received 1.0 SBD @tipU upvote from @cardboard ! @tipU upvotes with 210% of the payment and shares 100% profit + 50% curation rewards with all investors, allows to automatically reinvest selected part of your payout and can do other cool stuff :) Click here for more info. amazing job bro. bro, would like help your new steemian bro? please give me an upvote. This module is to create a new account. If you already have Steem account, there is no need to create another one. Utopian currently uses other interfaces such as Steemit or Busy for the contribution posts. Is this github account will be somehow connected to registered steem account? I would like to test this registration process, to make sure, that I can recommend this way to my friends, but I am afraid, that if I will use github.com/noisy to register some test account, then I will not be able to post contribution made by github.com/noisy to my current @noisy account. Could you tell a little bit more about that? The github account is linked internally and in order to make sure the system is not easy to abuse it will remain linked. If you create a STEEM test account now with your main github account, in the future you may have to use that in order to use the linked main github account. This i not true right now, since there is not any frontend that checks that, but for the future, that's the plan. We are willing to allow existing STEEM accounts to link a github account without having to go through the registration process in the near future. My advise is that you use a test github account now to try the signup process. accidentally, I have created this mistake. maybe the test account is linked with my main github account. I think they will surely need unlink/revoke option for github account also system abuse is still possible by multiple GitHub accounts so a Captcha will be better. I think interesting option would be, to allow existing github users to sponsor new accounts of own friends/mentors. For example, I could donate some STEEM and SP to utopian, and whenever someone who I am following on github will try to create an account, then his account could be created with my funds without SMS verification, even if his github rating would be low. That would be a simplification for me, to invite my friends, without additional cost to utopian. I've already synchronised and verified my Github account in this new update in @utopian-io, congratulations on your progress! I hope to become a part of your translator's team someday. Looking forward for that section to be reopened again. This is really awesome guys,i told some developers about Utopian recently but told them to sign up on Steemit....unfortunately its taking long and some are giving up! Thank you, yes we have made this service available to avoid all the wait time. That's weird @chewing. Thanks for reporting, we'll check this out. Great post and great info shared here... Thanks for the heads up. Seems legit :) But I dont think that 3-4 days is much to w8. You can gather informations in those days and make some articles for backup! Been away for months and came back to catch up. Glad to be back. Thanks for the post! I tried to create an account and successfully completed all the steps and even got a password. but now when I try to log in, it says no account exists. I used my github account to log in. @elear was just testing the functionality, you should also take in account users who already have synced their GitHub already on utopian are still Able to create account. Omg I love it!!!!! This is wonderful. I'm going to tweet about this now and also tomorrow! Source contributors to instantly create a STEEM account by syncing their GitHub account with Utopian and confirming account ownership. Hi @mejustandrew, Utopian is open to only open source projects on github. However, we might extend to other open source plateform in the future. Ah, so bad, there may be contributors from bitbucket too, but it is a nice start with GitHub also. I am really curious how it will turn out!